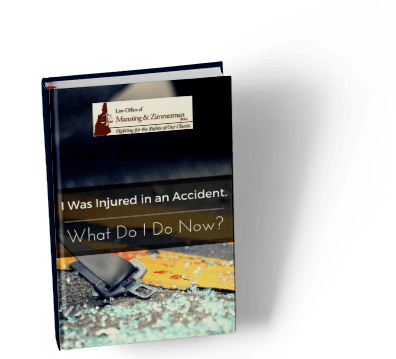 NH Personal Injury Attorneys | Why Is It Called An Accident Anyway? So Why is it Called an “Accident” Anyway? We all know that words have meaning. Choose the right word and everyone knows what you mean. But use the wrong word, usually by mistake, and you cause confusion and misunderstanding. We’ve all done this. We’ll say or write a word and then realize a different word probably would have been better and more easily understood. We also know that the world is full of “word police” who are only too eager to point out errors in vocabulary, and they’re not all teachers! As NH personal injury attorneys, the most commonly misused word we encounter is “accident.” Is there such thing as a “car accident?” Although rare, it is possible that what happened was unavoidable. But why, when a crash takes place that is clearly not accidental, is it referred to as an “accident?” Did a driver reading something on their phone and failing to see that a traffic light turned red “accidentally” crash into the car in front of them? Of course not! Is the word accident the most appropriate word to use in that scenario? Of course not! So why is the word accident so often used when it is clearly not, in anyone’s understanding, the right word? In the context of a car crash, the word accident is actually what is known as a misnomer. Classic examples of misnomers include several types of berries (strawberries, raspberries, blackberries, etc) that are not actually berries. Jellyfish and starfish are not actually fish. Peanuts are not actually nuts – peanuts grow underground and nuts grow on trees. But sometimes, words are used incorrectly to be purposely misleading. Would anyone actually use the word “accident” to be purposefully misleading? Yes – the U. S. Chamber of Commerce and the insurance industry. Every year, Americans spend billions of dollars on insurance premiums. This includes life, homeowner’s, renter’s, and business policies, and policies providing protection in case of a motor vehicle crash. One cannot turn on a television without being subjected to a steady stream of car insurance commercials featuring talking geckos, retired football players, and a number of other clever ad devices. What do all these insurance companies want you to do? To part with your money by purchasing their insurance product. And what do they not want you to do – ever? To file a claim against one of their policyholders. Doesn’t it sound nice and polite for an insurer to claim that your injury was caused by “accident?” Doesn’t it make financial sense for the insurance industry to persist in calling these events “accidents?” Nothing makes it easier for insurance companies to undervalue claims and underpay compensation to injury victims than the use of the word “accident.” Yes, it’s cynical. And yes, it works. Fortunately, progress is being made. Many drivers use Waze, a GPS app that warns drivers when there are dangers on the roadways such as crashes, cars that have broken down, and roadkill. As recently as last year, Waze used the word “accident” but they now use “crash.” As far back as 1997, the National Highway Traffic Safety Administration (NHTSA) dropped the word “accident” from their lexicon. Nevada has changed its laws and legally no longer refers to car crashes as accidents. And the advocacy group “Crash Not Accident” has launched a campaign asking that people pledge to not use the word “accident” to describe crashes that are anything but accidental. There is still a long way to go. Hopefully soon, though, we will use the word “accident” only when something has happened – by accident. If you have been injured by another person’s careless acts, contact the NH personal injury attorneys at the Law Office of Manning & Zimmerman PLLC. We may be reached at (603) 210-4464, by email at info@MZLawNH.com, or by using the “contact us” or chat feature on our website.